The chiropractors at Georgia Neck and Back also talk about how the benefits of chiropractic care can help with conditions such as colic, multiple sclerosis, and asthma. Chiropractors generally work alongside a general practitioner to design a treatment plan that works for each patient and his or her symptoms. Chiropractors might be able to suggest small, personalized changes you can make at home and at work to support spinal health. Dr. Chance Moore at Arizona Pain Specialists explains how you can make a few quick adjustments to improve your office area to help you reduce pain. Read even more in our articles that discuss the relationship between depression and chronic pain. On Inside Pain, we’ve focused a lot on how pain patients can improve their sleep. Sleep issues and chronic pain exacerbate each other. Getting a lock on sleep could help you reduce your pain. Health care is an expensive proposition these days. By the time a patient visits their doctor, then a specialist, then a physical therapist, then fills a prescription, and finds a counselor, the bill can be in the thousands with no end in sight. However, chiropractic care has been shown to save more than 50% in drug costs in some cases. The American Chiropractic Association, through their #Chiropractic1st campaign for National Chiropractic Health Month, stress the importance of using chiropractic care as a conservative mode of treatment that can reduce healthcare costs, both from treatments and medication. The relief in your wallet may just be one of the greatest benefits of chiropractic care for you. Some chiropractors believe that patients can eliminate all of that by receiving regular chiropractic treatments, not only to fix whatever ails them right now but also as a prophylactic response—an ounce of prevention. The initial visit may be costly, as there may be X-rays or MRIs involved, but after that, many chiropractors sell packages of treatments that can be scheduled in advanced and used as health maintenance. Some would also argue that because chiropractors stress healthy eating and plenty of physical activity, patients will receive better (and cheaper) health benefits than just simply going to a doctor that will view the patient as a sore back or an aching neck. Chiropractors treat the whole person, not just the symptoms. Chiropractic treatments also focus on a patient-centered approach that emphasizes early detection. If an issue arises and is caught early, regardless of what the issue is, chances are good that less medical intervention will be necessary. Less medical intervention means more money stays in the patient’s pocket. It may seem as if a biweekly adjustment on a healthy spine is a luxury, but if this visit catches and heals something early, then the benefits are enormous. Dr. Naumov, on Patch.com, explains some of the benefits of chiropractic care for seniors, including reduced risk of falls and increased range of motion. Likewise, LiveStrong explains how chiropractic care for kids can be appropriate and helpful with a number of health conditions. Palmer similarly adjusted Harvey Lillard and found that Lillard’s hearing was restored. Chiropractic success stories tend to focus on amazing transformations and cures as a result of correcting vertebral subluxation, or the impingement or compression of the nerves in the spine. However, this is just one way that chiropractors work with their patients, and the benefits of chiropractic care go beyond the initial visit. As we’ve noted, chiropractic care benefits extend to your body, mind, wallet, and so much more. Before going to a chiropractor, check with your regular physician. There are certain conditions that make it less safe to get chiropractic adjustments, such as osteoporosis or blood thinner use. When you see a new chiropractor for the first time, make sure you tell him or her about all medical conditions, medications, supplements, and concerns. Ready to find a chiropractor near you who values patient care and compassion? Check out our post on finding a chiropractor near you, or click the button below to get in touch with one of our PainDoctor.com certified chiropractors in your area. After reading your article, it makes sense to me that half of the teams in the NFL would employ a full time chiropractor. There are so many benefits of even just learning stretches that can help maintain posture and make you more comfortable. I have a series of stretches that I do every morning to combat back pain. That’s fantastic to hear Jasper. Thanks for stopping by the blog! My family has had chiropractic treatments for years and have seen great benefits. Very informative post, I didn’t know it could be helpful in so many areas. Thanks for sharing! Thanks for your kind comments Laurie and for stopping by the blog! I find it very interesting that of the four million people that went to a chiropractor in 2002, 66% felt like it greatly benefit them. It seems like visiting a chiropractor every few years seems would be good to do for overall health. My dad was recently in a car accident and is having some neck pain. He should definitely consider going to see a chiropractor. Hi Scott, thanks for stopping by the blog! “Tune-ups” every few years might be a great plan for some people. We hope your dad finds some relief from his neck pain. 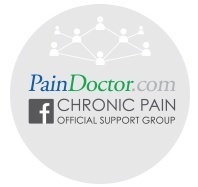 To find a pain doctor near you, you can always use our doctor locator tool: https://paindoctor.com/find-your-pain-doctor/. Thanks!! I’ve learned more about nutrition from my chiropractor than every GP I’ve been to and school combined! Chiros are so great about nutrition! Thanks for sharing Steven. 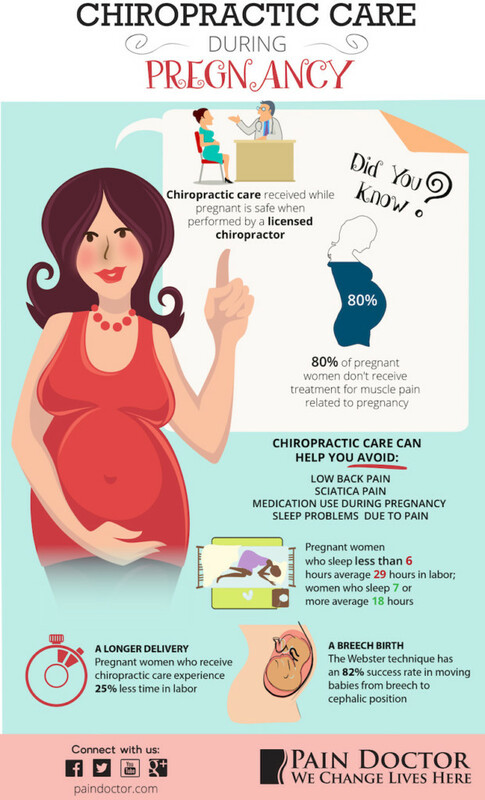 How would I know that chiropractic care have such awesome benefits – and it’s all thanks to you! How can I subscribe? Thanks! You can find a subscribe box at the end of the post. I didn’t know that a chiropractor could help you not only with your physical health, but also your nutrition. I’ve thought about seeing a chiropractor for a long time, and now that I know this, I want to see one even more! It would be wonderful to get some advice on how to manage my pain in multiple ways. I didn’t know that statistically people visit the hospital less after frequent chiropractic treatment. I have been going to the hospital a lot recently and I’m not sure why. I can see how it would be nice to start going to a chiropractor, because it could save money on health costs in the long run. I like how you say that chiropractic care can be used with a number of other therapy options because it is drug-free. My back is almost always in pain. It used to be better, but only recently I must have done something to it because it’s hurting five days out of seven. I’ll have to find a chiropractor near me who’ll be able to help with my back pain. I’ve been experiencing a lot of pain in my neck and upper back, and my wife has made a suggestion of taking me to the chiropractor. Honestly, I didn’t know what I chiropractor is and what they do. I was convinced that all I need is over-the-counter, but after seeing my wife so convinced and firm made me change my mind. It was a good thing that I found your article. 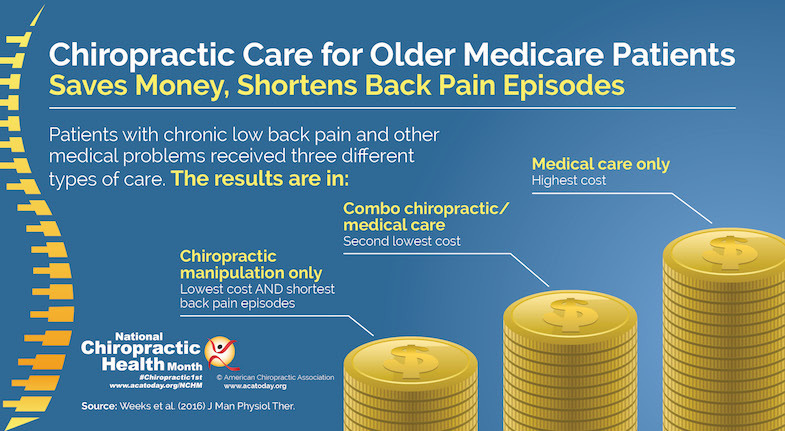 You mentioned here that chiropractic care works better than medication, and we won’t have to pay a high price for it. Now I really do think she’s right. Thanks for the sharing this! I’ll be sure to let her know. I have a massive backpain and I am considering on availing a chiropractic treatment. Which is the best clinic to get this kind of treatment? Hi Mikaila — We recommend using the tips here to find one near you: https://paindoctor.com/chiropractor-near-me/. Hope that helps!